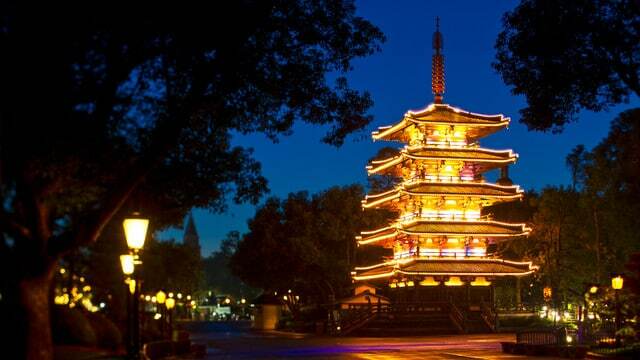 Description: The Japan pavilion is not only beautiful, it also happens to be my favorite. The food is great, the large Mitsukoshi Department Store has a lot to see (including the option to pick a pearl) and the architecture is fantastic. Entertainment here includes Matsuriza (drummers that can be heard from a long way). Tip(s) for Enchanted Tiki Room: As you're walking toward the Japan section from American Adventure, there's Kabuki Cafe which serves kaki-gori. Kaki-gori is basically a snow cone which is a great, kid-friendly treat to cool down if you've gotten hot walking around the World Showcase. It also counts as a snack credit.